We in the U.S. love to complain. Take this week’s introduction of Skype for the iPhone. The mobile VoIP client appears to be a pretty solid offering, letting you not only chat with your Skype buddies, but also make voice calls—as long as you’re using the Wi-Fi connection, a stipulation Apple had pointed out way back in March 2008 when it first unveiled the iPhone SDK. That didn’t stop the barrage of complaints that the ban on 3G was arbitrary and designed only to support AT&T’s business model. Which, to be fair, is pretty accurate. Whether or not that makes it wrong, well, that’s up to higher powers to decide. But at least we’re better off than the folks in Germany, where the country’s official provider, T-Mobile, wants to ban use of the Skype app on both its 3G network and its extensive Wi-Fi hot spot network. Not only has T-Mobile said that the use of Skype is forbidden, but it’s also declared its intent to cancel the contracts of any users who use workarounds to run the program anyway. The company’s reasoning is that the program’s high data use would choke the network infrastructure and that it violates the customer contract, prohibiting VoIP—a clause apparently used by all other German mobile service providers as well. 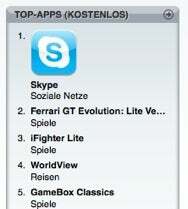 Whatever the case, T-Mobile looks to have a steep road ahead of itself, as Skype is currently the top free app on the German App Store. Viel Glück!